Coming immediately after Christmas, the martyrdom of Stephen exemplifies the living out of all our Advent and Christmas themes, especially of being prepared to meet the Lord by living each day expectantly and dauntlessly. Stephen so lived in Christ and with Christ that there was no room in his heart for fear, malice, revenge and hatred, even when being stoned to death. So Christ-like was he that his last words were not dissimilar to those uttered by Christ on the cross, "Lord, do not hold this sin against them." We have thought much about Christ's coming in His glory, but Stephen in his utter oneness with God in prayer had this vision of the Son of Man before he died. We learn much from the saintly Stephen. As his life was "full of grace and power", he has shown us what happens to a life which allows "the second coming" we spoke about on Christmas Eve to enter. Christ was indeed born in his heart, and welcomed, not as some poor relation but as the royal Guest. He was taken in to lodge permanently. Twenty-four hours after Christ's Mass is a challenging time for us because it enables us to see whether we left Christ in the crib or whether in fact we have taken Him out with us, and made Him our main lodger too. Will we be like Stephen and treat the holy Infant as the royal guest? Stephen also lived out what Christ promised His apostles, that when they were faced with persecution and imprisonment the Spirit would guide and direct their speaking. No one would doubt that it was the Spirit who spoke through Stephen to the Council, as he proclaimed what God had done for His chosen people, but they in rejecting their Saviour were just as hard of heart as their forefathers had been. Furthermore Stephen teaches us that unless as Christians we forbear all kinds of evil done to us in love, patience and willing acceptance then the Church will never be the force it should be against all the evil in this world. It is only when the Church learns to absorb evil that it will be a reconciling force in the world. What the Church is depends on its members. Christ told us we must turn the other cheek, a much harder task than lashing out with a tirade of anger in all its form. We have to be prepared to say "lay not this sin to their charge", and learn to be like Stephen in our everyday living. For Stephen there was no other "refuge" or "stronghold"; it was in the Lord he "trusted", knowing that all his "fortunes" were in his hands. Can we be like Stephen in his child-like simplicity and faith? After all the Christian life although it demands our all, is really very simple. I am sure those of you who really do try to live out the Christian life have experienced this for yourself. If not perhaps we are what Cardinal Newman refers to as a "worldly" Christian. These "serve God, and they seek Him; but they look on the present world as if it were eternal, not a mere temporary scene of their duties and privileges, and never contemplate the prospect of being separated from it." Unlike Stephen such Christians "do not understand that they are called to be strangers and pilgrims upon earth, and that their worldly lot and worldly goods are a sort of accident of their existence, and that they really have no property." Stephen certainly teaches us that although we live in this world, we are not really part of it as our vision should always be heavenwards. He longed, and so should we, for the day when he would not ever be separated from His Lord again. 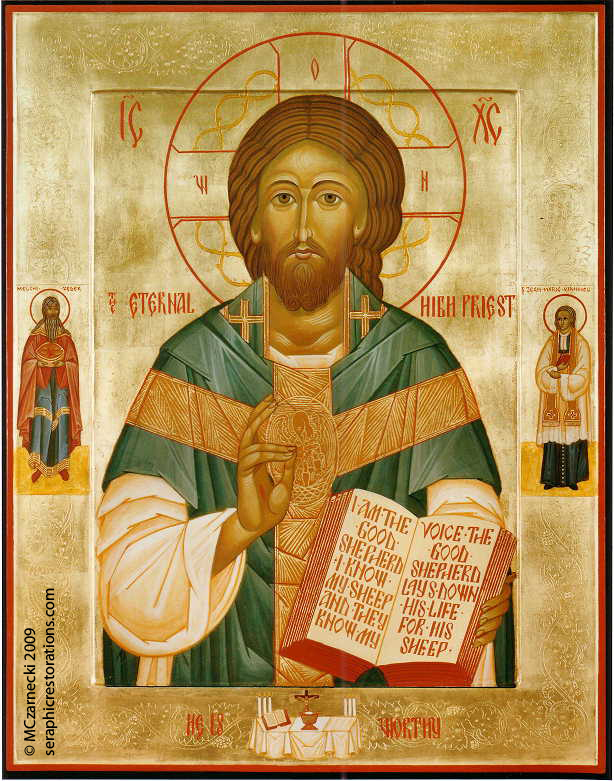 Help me dear Lord to live like your first martyr, St. Stephen, and to seek always the values of Your kingdom. Let me welcome you into my heart and life as Stephen did, so that it is You who lives within me as my permanent Lodger. Amen. Full readings: Acts 6:8-10, 7:54-59; Psalm 31; St. Matthew 10:17-22.